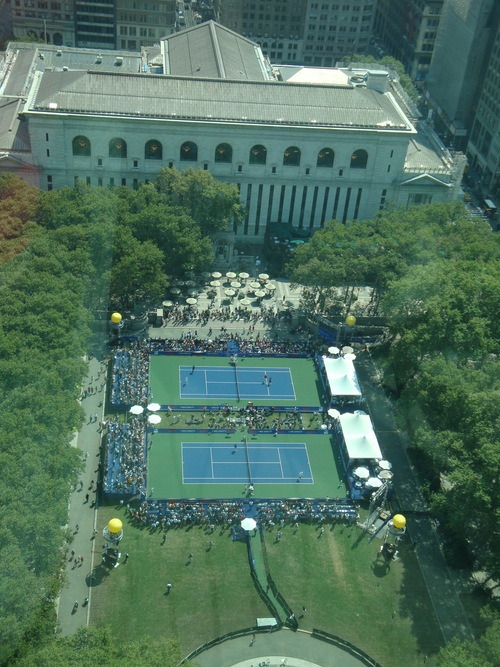 The Bryant Park lawn was open to the public for a record-breaking 130 days this year, since opening day on April 24. The total number of open days for the lawn in 2008 was 114, preceded by 113 in 2007, and 103 in 2006. Cartwheels on the lawn from BP Blog on Vimeo. Cartwheels to celebrate opening day in April. 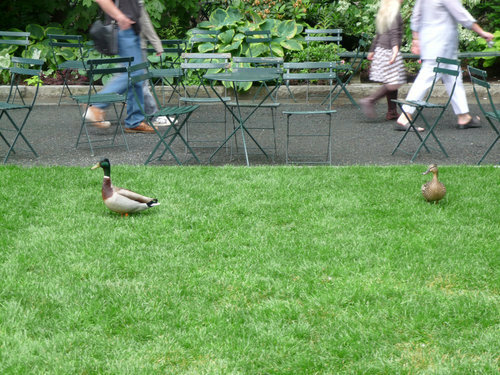 Ducks enjoying damp weather in May. 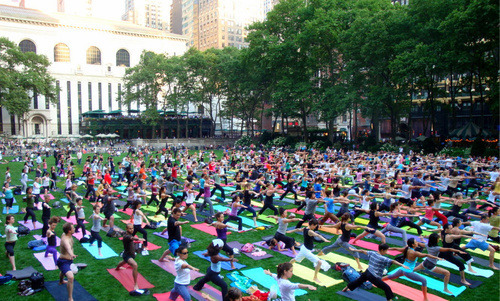 Hundreds of yogis practicing together in June. Tennis champions showing off their skills in August.